The Plant-Based Pharmacist's Blog: Maximize Those Nutrients! The American Cancer Institute for Cancer Research conducted an analysis of over 7,000 scientific studies on food, nutrition, and physical activity as it relates to cancer. Amazingly what they found was diet and nutrition are responsible for up to 40% of all cancers. Fruits and vegetables contain phytochemicals that fight cancer cells. Here are some methods of cooking that will retain the highest amount of these cancer fighting compounds. 1) Tomatoes have a cancer fighting antioxidant called lycopene. 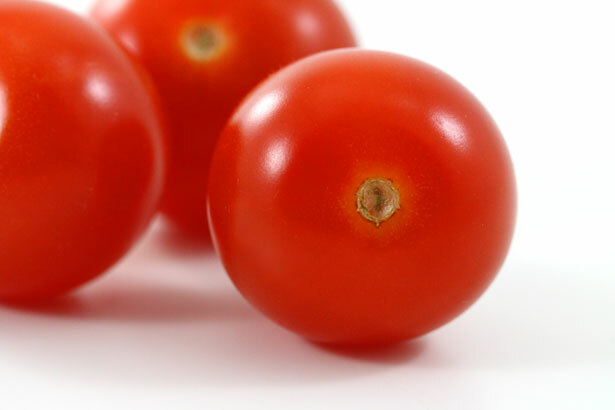 Cooking tomatoes will increase our body’s absorption of lycopene. 2) Chopping garlic and onions releases the compound allicin, which boosts our immune system - important in fighting cancer. Let chopped onions and garlic sit 5-10 minutes before using to maximize the effects of the allicin. 3) Cooking vegetables in water leaches water soluble vitamins from the vegetables into the water. To retain the maximum amount of cancer fighting nutrients, lightly steam your vegetables instead. 4) Cook and eat fruits and vegetables with the skin on. A high concentration of nutrients are in the skin and just below the skin’s surface. For example, leaving the skin on an apple rather than peeling it will increase the cancer fighting chemical quercetin by about 75%. 5) Green tea has properties that inhibit tumor cell growth. Not only can you drink green tea, use it in place of water to cook brown rice, oatmeal, and other grains. Try these methods of cooking to retain the highest amount of nutrients that will boost support of our body’s natural defense system to combat cancer and other diseases. Love the green Tea suggestion!! In our house, when we are starting to saute that's the time that we will chopped the onions and garlic but now I will absolutely chop it first before the other ingredients. Thank you for letting us know about its benefit to the immune system.